Think about how long ago that was. Tim Salmon was somewhere around where trout is now, in terms of peak and youth. I think Franky was the last guy of the 02 team to still play....hadnt even debuted yet. Will this guy outlast Sosh? In what, a pie eating contest, or life? Question. Did bartolo have to pay to get in to the contest? Seriously. They had just started to line the inside of the towers with explosives when this picture was taken. ....no, Ocho. They just let him in. Damn, he was even fat back then. If Scioscia leaves to go manage the Phillies (if they fired their manager knowing Scioscia wants to go to them) would people be even more worried about Trout leaving ? Scioscia is from PA, a town only 2.8 miles from Philly, he'd be managing his home team. Gabe Kappler has them in 1st place in his first season as manager...they are not firing him for Scioscia even if he really wanted the job. If he doesn't retire for good after this season, he'll likely take some time off. Thats a relief. Unless of course Gabe Kappler gets struck by lightning or something lol. The training staff did a better job back then. Players weren't dropping like flys onto the DL. I have a lot of new players to add to the "Random Angel Players" thread. The roids could keep them on the field. Oh yeah the roids, completely forgot about it. Was so obvious when guys like Eckstein were hitting Grand Slams in back to back games in 2002 or how AK hit 3 HRs in a ALCS game despite hitting only like 3 in the regular season, maybe AK started roids during the season & it didn't kick in until the ALCS. Erstad's 2000 season was one hell of a spike in performance. Fullmer was Roid Rage in that epic photo of him charging out of the dugout with scioscia trying to stop him. Coincidentally, that was the same look on GA's face when he was stopped in the parking lot of the golf pro shop by one of our very own fan boys looking for an autograph. 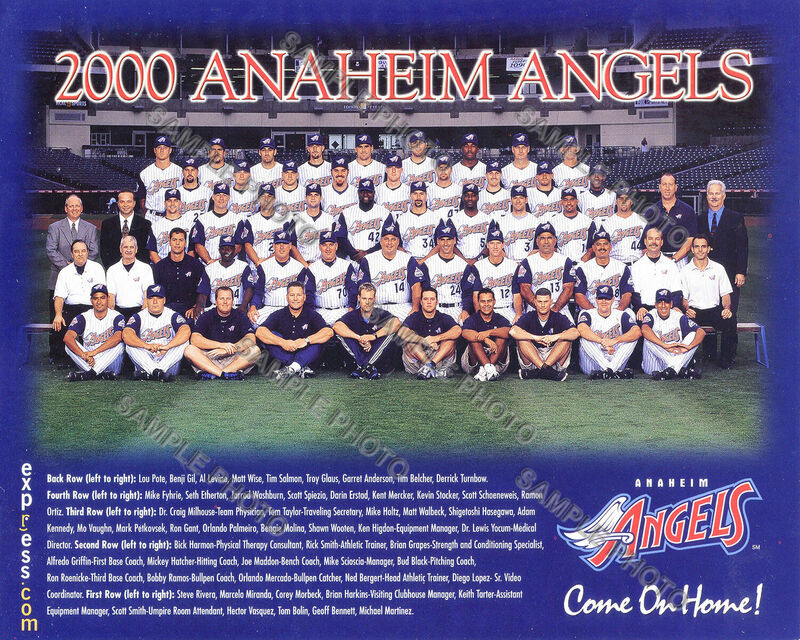 They need to make a movie about the 2002 Angels. GA to be played by Denzel Washington, Dean Cain as Tim Salmon, Jake Busey as Erstad, Tony Cox from Bad Santa as Figgins, Anthony LaPaglia as Scioscia, Luis Guzman as Bengie Molina, Peter Dinklage as Eckstein, the monkey from Outbreak as the Rally Monkey, Vince Vaughn as Fullmer, Ryan Eggold(is from OC) as Glaus, Matthew Lilliard(another OC actor) as Washburn, Will Ferrell(from Irvine) as Mickey Hatcher, Normal Reedus as Spiezio, michael mando as K-Rod, Kevin Costner as Percival, Jim Carey with lisp as AK. Diedrich Bader as Rex Hudler & David Spade as Steve Physioc. For the Giants, Ving Rhames as Barry Bonds, Edward Norton as Rich Aurilla, Danny Trejo as Benito Santiago, Jeffrey Dean Morgan as Jeff Kent.